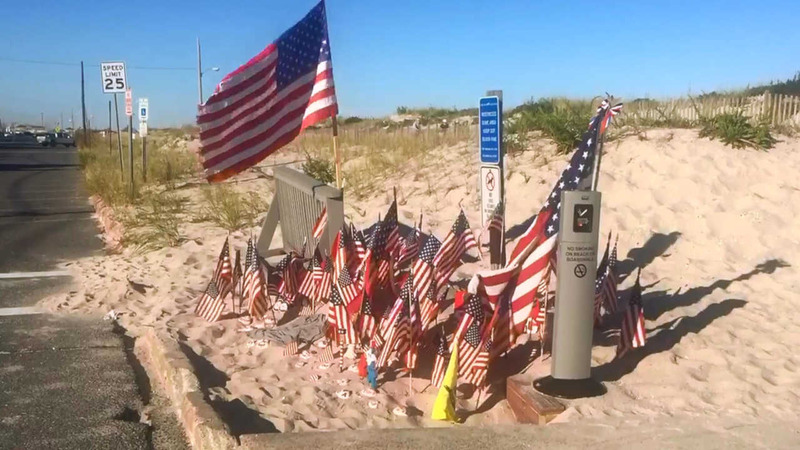 SEASIDE PARK, New Jersey -- Local residents in Seaside Park have placed American flags at the spot where a bomb exploded last week. The exact location is Ocean Avenue and D Street. Both Seaside Park and Seaside Heights have begun removing many of the garbage cans from the beach blocks for safety, and security is being stepped up at a number of Shore towns. The man allegedly responsible, Ahmad Rahami, was shot by police during his arrest. He is also accused of the bombing in the Chelsea neighborhood and an incident in Elizabeth,, New Jersey.